I think every mother, probably every parent, has those heart stopping moments. The moments you think something has happened to your child. I was more afraid than I had ever been in my life. 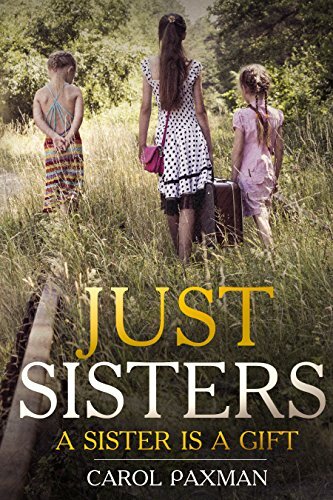 The Just sisters have always been there for each other. After losing their parents when they were young, they finished growing up, together. Julie seems to have it all. A loving husband, twin boys and a blog where she writes about the joys and challenges of raising twins. On the surface, everything looks perfect, it’s what’s below the surface that’s tearing her apart. Jeanie is trying to have it all. She is happily married and has a career she loves, but she would give it up in a minute to have a baby of her own. Struggling with infertility has left Jeanie more than a little resentful of people who so easily have children, including her sisters. Janey has finally found the love that she missed growing up. As a wife and mother she has found her calling and loves the chaos, noise and joy that a large family brings. She and her sisters rarely see eye to eye until a devastating loss allows her to see what life is like through their eyes. Can their relationship survive a loss bigger than the three of them?